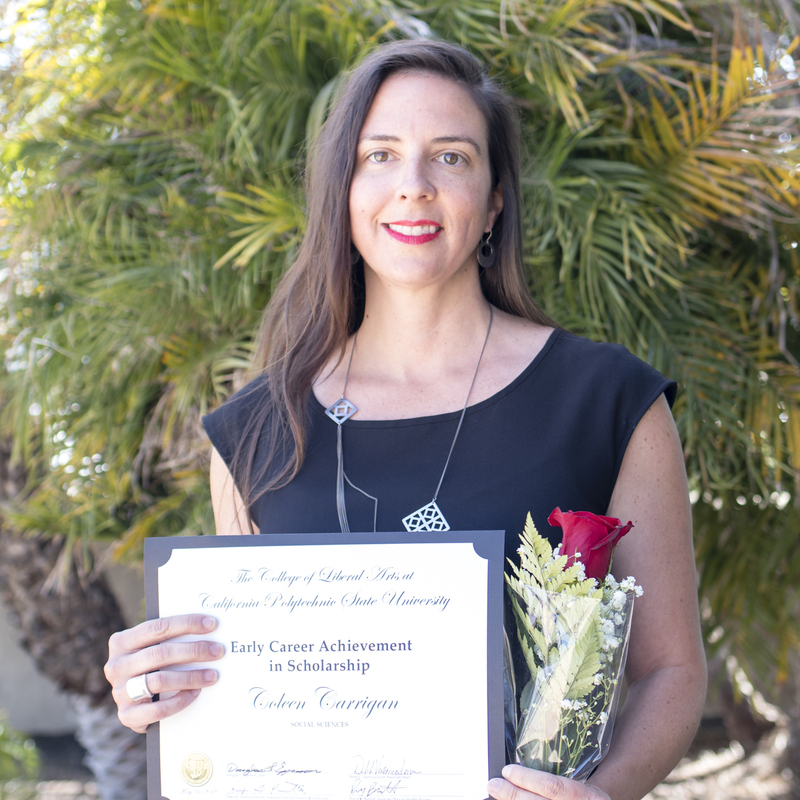 In June, cultural anthropologist Dr. Coleen Carrigan was recognized for her outstanding academic achievements with the College of Liberal Arts award for Early Career Achievement in Scholarship. Carrigan has a joint appointment in the Social Sciences Department and the Science, Technology, and Society Minors Program. She was recognized for having accomplished in four years what many do not accomplish in decades. Most notable has been her acquisition of major grants from highly respected funding agencies. In January, she received a prestigious CAREER award for her Valuing the Social in Computer Science and Engineering project from the National Science Foundation (NSF). According to the NSF website, the CAREER award is part of “a Foundation-wide activity that offers the National Science Foundation's most prestigious awards in support of early-career faculty who have the potential to serve as academic role models in research and education and to lead advances in the mission of their department or organization.” Previously, Carrigan secured two other large National Science Foundation (NSF) grants. Carrigan was also recognized for her impressive history of published scholarship. In recent years, she published papers in Ethnography, the Journal of Technology Transfer, and Equity, Diversity, and Inclusion: An International Journal. In total, Carrigan has published 12 peer-reviewed journal articles or conference proceedings. With her recent CAREER grant, it is likely there are many more publications in her near future. Congratulations, Professor Carrigan!